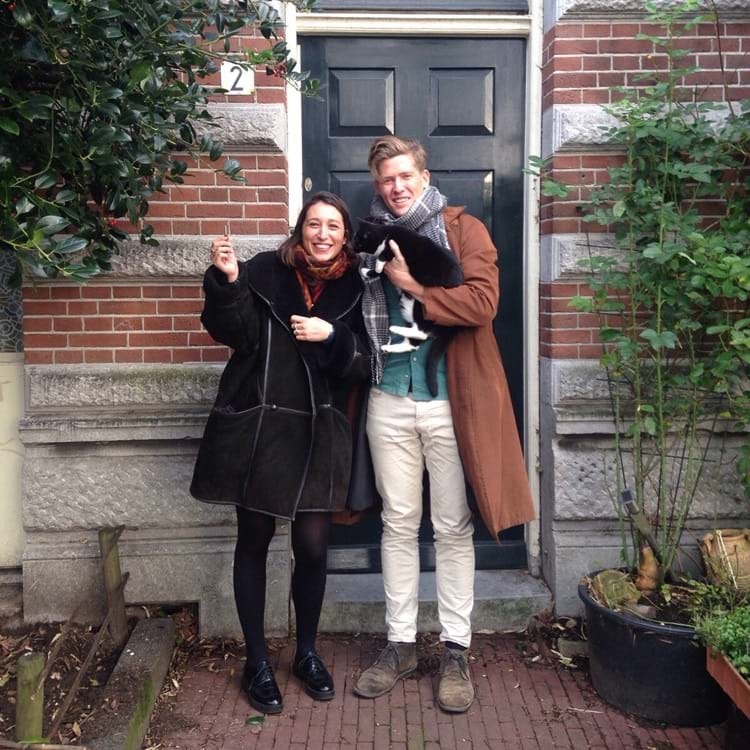 We had been looking for an apartment in Amsterdam for quite some time, looking on many websites at least 3 times a day. Before we used RentSlam, we were never invited to. Once we signed up for RentSlam it all changed and went really fast. We received many e-mails with lots of rentals. Everything within our price range and matching our search criteria. Because we were able to respond immediately, we were invited to many viewings. After having viewed 6 apartments within 2 days of using the service, we were selected for an apartment. A couple of days later we signed the contract and received the keys. The fact that RentSlam sent us rentals from so many different sources made the difference. It really saved us lots of time. We received many more available rentals than we could have possibly found by ourselves. What we learned was that speed is key in finding a place to live. You have to get there first! We were actually checking the RentSlam emails on our way to, and in between viewings, to arrange our next viewing. This worked perfectly. We hope you will have the same success we had, we are loving our new home.